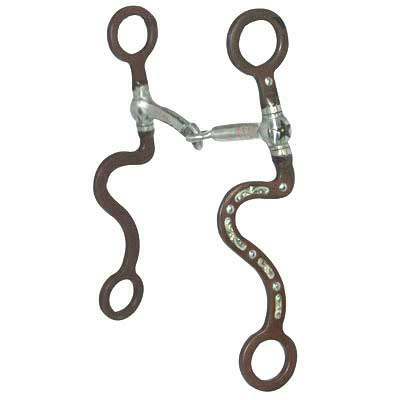 These Robart Victory Snaffle Bit items are made of only exceptional quality materials. When buying a Victory Snaffle Bit from us we are confident that you will be happy with our products. This specific Horse Victory Snaffle Bit creates quick action and creates more leverage than the short shank for a young horse. This Victory Bit also has a engraved silver inlay. When buying Robart Snaffle Bits at Horse Tack Now rest assured you are getting the highest quality available at discount prices.